Facebook is launching yet another app today. 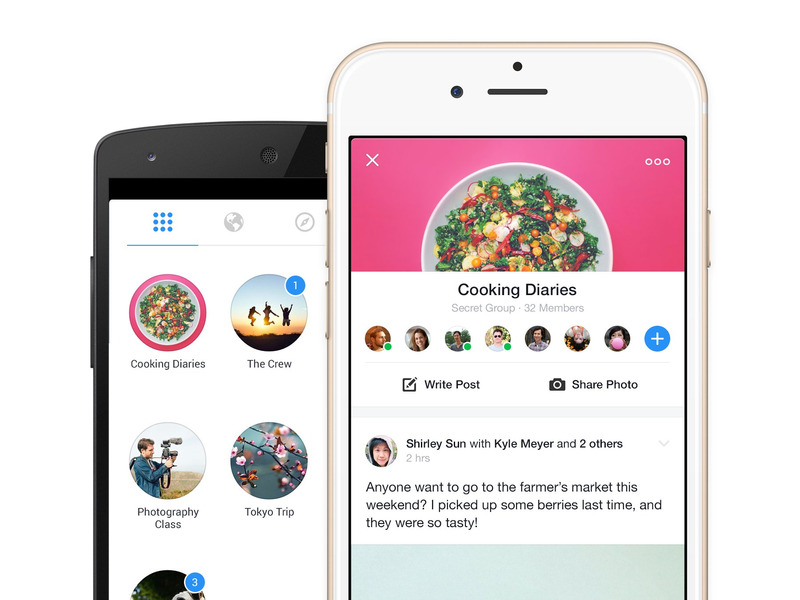 This time, it’s a new app specifically for Facebook groups. 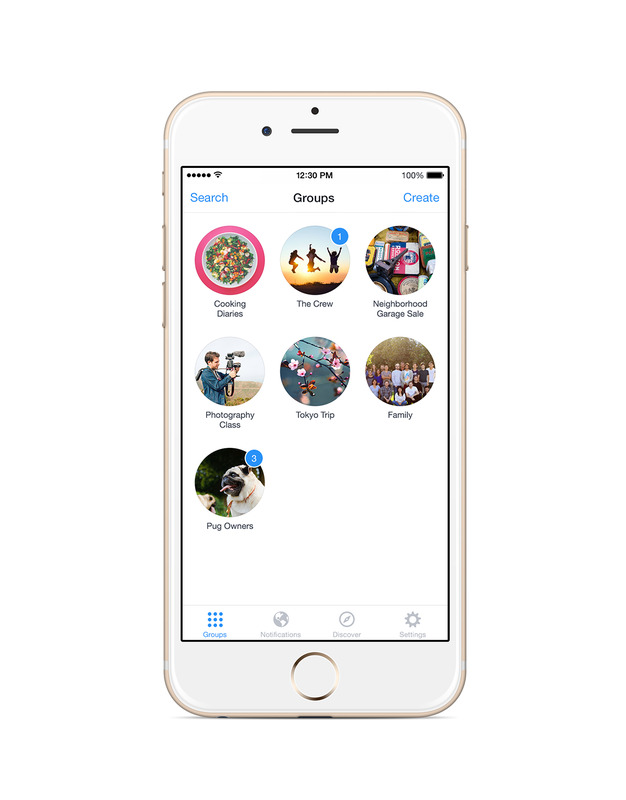 The Facebook Groups app allows you to more easily share, chat, and generally keep up with Facebook groups on the go. You can manage memberships, toggle between groups, join new groups, and view notifications all within the app. The most used Facebook groups will appear on top for easy access. The app also streamlines the process of discovering new groups with the addition of a Facebook Groups Discover tab. Users can hunt down groups in their geographic area, by interest, or browse their friends groups easily within the app. The app will also suggest groups based on Pages you’ve liked, where you live, and what groups your friends participate in. 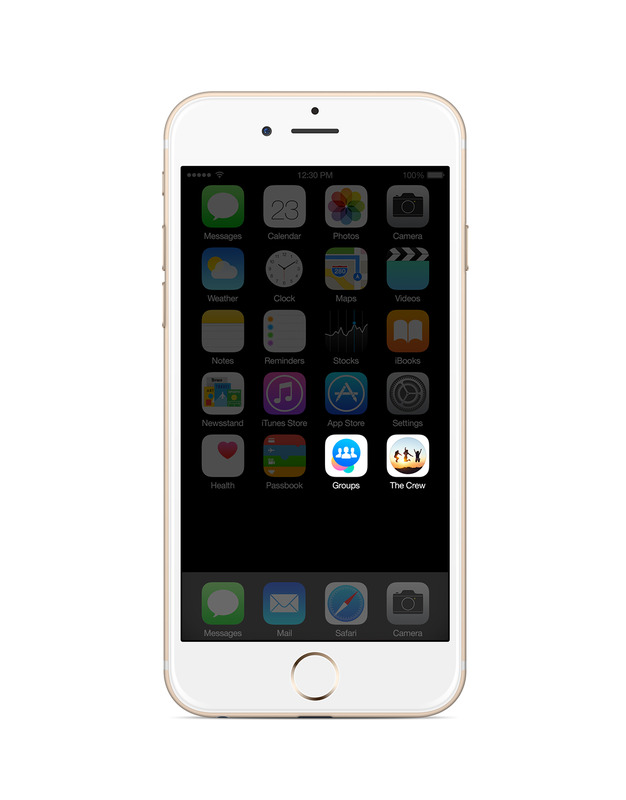 Tracking notifications is simplified, and you can choose how and when you’d like to receive notifications. You can also add Facebook Group icons to your iPhone homescreen. So, if there’s a certain group you communicate with regularly, such as family, you can easily access the group communication and respond to messages without tapping in and out of the app. Of course, the 700 million people use Facebook Groups monthly can still use Facebook Groups in the main Facebook app and on desktop. And for those who would rather interact with Groups through News Feed, the main app is still the best way to do that. But for Facebook Groups users who prefer to message and communicate with groups on their phones, the app hopes to make that process less painful. This is a combination of a few things Facebook has been trying to do for a while. Facebook has been trying to master group messaging for years now. It has also started breaking up the Facebook app in to a constellation of apps. 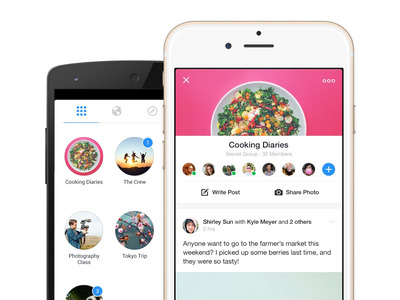 Facebook Groups is the fifth app released by Facebook’s Creative Lab. Previous apps have had received mix results. since its launch in February. Slingshot, the company’s ephemeral messaging app was originally billed as a “Snapchat killer,” but has yet to do anything of note. Rooms, an anonymous chat app released last month is currently available to users in the U.S., U.K., and a handful of other English-speaking countries. However those regional users are limited to iPhone owners only. The app is also up against a plethora of other venues for anonymous topic discussion, such as Reddit. And now, Rooms will compete with Groups. Mentions, which was created for famous people to more easily engage with their mentions, is not intended for a wider audience, and the utility of the product is unclear. In conjunction with these launches, this summer Facebook also removed messaging capabilities from its native app, forcing users to download a separate Messenger app in order to communicate with their friends. And some have speculated that Facebook may release an office messaging app along with Facebook At Work to take on competitors such as Slack.